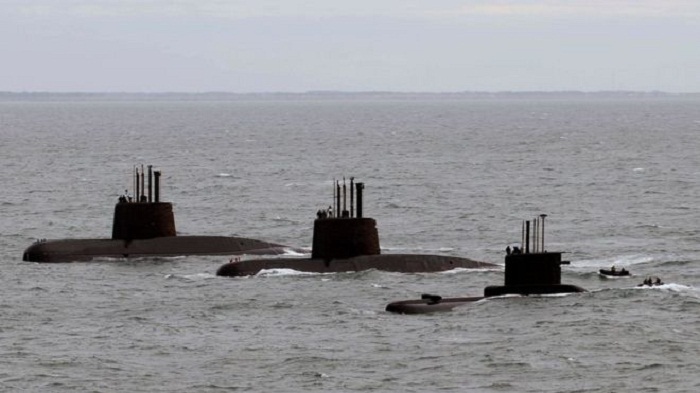 Argentina's navy said Friday it has lost contact with a submarine off the country's southern coast. The navy's Twitter feed said that communications were lost 48 hours ago with the ARA San Juan, a German-built diesel-electric vessel with at least 40 people aboard. It said it was carrying out operations to restore contact, and officials said the sub is not considered lost. "There isn't any serious indication from the submarine," Navy spokesman Enrique Balbi told the Todo Noticias channel. He said the sub was headed from the naval base at Ushuaia in the country's extreme south to a base in Mar del Plata, about 250 miles (400 kilometers) south of Buenos Aires.